The twinkling lights and festive sounds of the holiday season are starting to come alive in the desert, but you don’t have to go the ballet to experience the joy of The Nutcracker. 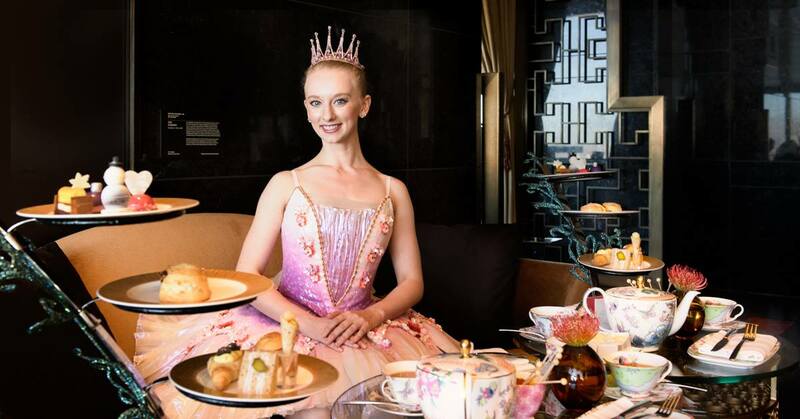 Waldorf Astoria, in partnership with the Nevada Ballet Theater, once again introduces its beloved Nutcracker Tea to ring in the Holiday season—and it’s quintessential family fun! Featuring some of the finest teas by Tealeaves, paired to perfection with tea sandwiches, signature scones and holiday-inspired desserts created by Waldorf Astoria’s pastry chef, Tony Gauthier, the Nutcracker Tea has something for everyone. While the children sip tea and enjoy everything from red velvet macarons to christmas tree tarts, parents can enjoy endless mimosas, rosé or a bellini. And for a truly indulgent experience, the Royal Tea is paired with caviar and a glass of Moët & Chandon champagne—trés chic! But that’s not all! On December 4 and December 17, a “Sugar Plum Fairy” from the NBT will appear to help create a truly unforgettable experience for guests. And while it may feel like the perfect winter wonderland inside, the Tea Lounge offers 23rd floor views of Las Vegas beyond its floor-to-ceiling windows. The Holiday Afternoon Tea ($56 per adult and $28 per child) and the Royal Tea ($140) are served daily from 11:45 a.m. to 4:15 p.m. Reservations are highly recommended. Sugar Plum Fairy appearances are on December 4 and December 17from 11:30 a.m. to 1:30 p.m.